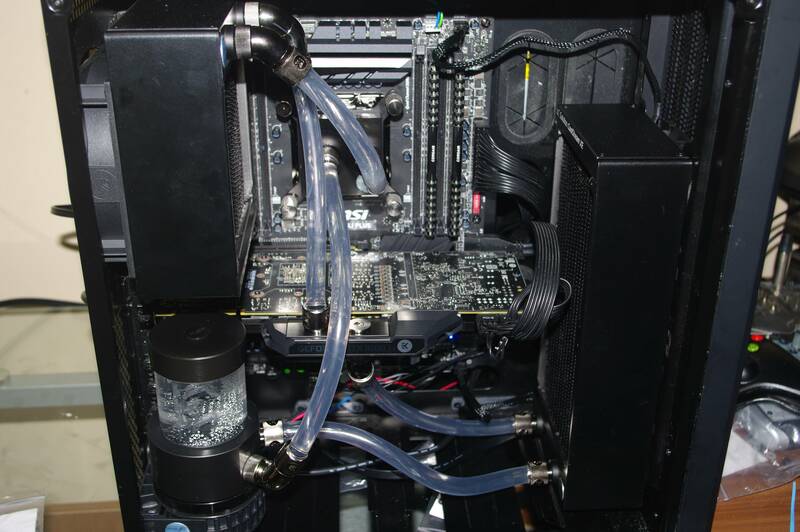 Figured I would toss this here, I built my first custom water loop this month. The temps on my CPU did not drop much but the previous cooler on that was a Noctua DH-15 so I was not surprised there as that cooler stands up to water. my 1080Ti dropped from full load 86c to around 48c full load. In general though I did this purely because I wanted to, custom loops are never about economics. will have to click the link the image blows the formatting out.